If you want to have an old fashioned Christmas, where the focus is on things being handmade, more on relationships with others, cutting out the stress factor, not being in huge long lines, or running around crazy when it comes to the holidays, then you my friend are in the right place. We are talking about simplifying the Christmas season. I want to welcome you to today’s episode where we are going to be talking about how we take stock of everything in order to plan out for the holiday season. 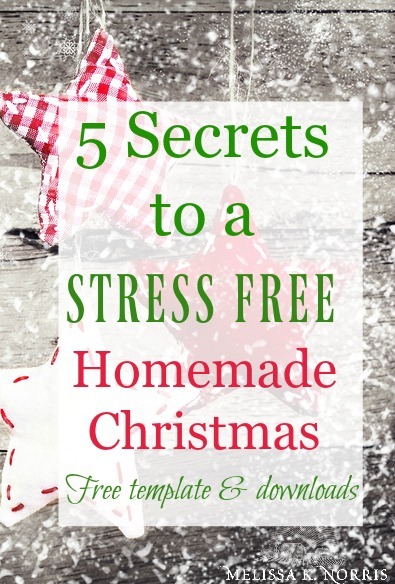 Listen below to, 5 Secrets of a Stress Free Homemade Christmas #160 of the Pioneering Today Podcast, where we teach families how to grow, preserve and cook their own food using old-fashioned skill sets and wisdom to create a natural self-sufficient home, with, or without, the homestead. Let’s focus on an old fashioned Christmas, are you with me? Learn how to use these easy steps to customize a plan for the people in your life, and the gift giving that’s within your budget. This is all going to be a little bit different for each person. Even if we’re focusing on an old fashioned and a handmade Christmas, we can still stress ourselves out, by not having the time or not having things all the way planned out. That’s not what we want either. We need to budget our time, because we only have so much, and we’ve all got a lot of stuff to do. We want it to be stress free or as close to stress free as we can get, so it’s an enjoyable season. In order to do that, you have to plan out ahead of time what projects you’re going to be doing, and the time to get them done. ———> First off, go ahead and download your template that you can plug all of the stuff in that we’re going to be walking over. 1. Make your master Christmas list. I want you to include everybody that you would like to give gifts to. This doesn’t mean that you’re going to be giving gifts to all of these people, but I like to just start big. Don’t exclude anyone at this point. Immediate family members and people living in your house with you. Extended family. (Parents, grandparents, siblings, adult children, grandkids, brothers, sisters, nieces, nephews, etc.) People who are extended family, BUT are in your life. Really close friends (maybe neighbors), people that you typically exchange gifts with or would like to. Think about also service providers. Teachers in school or Sunday school teachers, your pastor. More ideas are people who wait on you a lot when you go to the post office, the bank, the pharmacy, the doctor’s office, the receptionist that you’re always calling when you need to do something for your kids and they’re in school. Think about any parties that you typically go to during the Christmas season, where you need to give a gift. Such as a holiday part where you bring a white elephant gift. Co-workers and bosses. Are you a member of any clubs? Maybe PTA, maybe Bible study members. You may be members of clubs that don’t exchange gifts and that’s fine, but some of these you might want to exchange gifts with. I hate it when it comes to the Christmas time and I forgot something, and then it sneaks up on me, and I don’t have a gift or something to bring. That’s the goal of this. Just to get everything down and in one place. Once you get all of it down, then we’re going to whittle it away. Don’t be overwhelmed that you’re including all of these people on this big, huge, main list right now. 2. Have your Christmas budget ready. I like to create a Christmas budget so I know how much I’m going to be spending per person, per gift. I put that dollar amount down in my Click here for templates Click here for Homemade Christmas Templates as well. Even with making homemade gifts, we usually are needing to purchase some type of supplies and/or ingredients in order to make the gift. Now, I have to say in almost all cases, it’s always been cheaper or more frugal for me to purchase the ingredients and make that item at home, than it is to buy the store bought counterpart. We still need to keep our budget in mind, because some things are more expensive to make than others. We are going to prioritize who is getting gifts first, or who we’re going to be making our gifts for first. A lot about what I’m going to be going into now is going to be in relation to making gifts. Some people love to do all handmade. Some people just make very few handmade Christmas gifts. Some of us do a hybrid. I do a lot of handmade gifts, but I still do buy things from the store and give as gifts to certain members of our family. The point of this is to customize it to what works for you and your situation. Before we start to prioritize take a highlighter or a different colored pen, and highlight the names or the groups of people that you’re going to be making your handmade gifts for. On the chart Click here for templates Click here for Homemade Christmas Templates , I’ve got where you put the person’s name and the gift that you’re making. Then you have a column, so you’ve got the date that handmade gift needs to be started by and when it’s complete. This is specifically for things like infused oils, soaps, balms, different things like that, that may have a certain amount of time before they’re actually ready to gift give. Also, I write down the dollar amount how much I’m going to be spending per person, per gift. Look at your budget, and decide based on your list, who you can and can’t make gifts for. Remove people where needed. Sometimes I will remove people thinking I don’t have enough time and/or money, and then as the season goes on, if I get extra money, or I have some extra time, then I could give them an extra gift, but it’s not stressing me out. It’s only as the budget allows. 4. Find gifts you can batch. This is where I can save both money and time, especially with making our homemade gifts. Batching works really well, because you can buy in bulk, which usually saves us money. You’re doing it all at one time, and you’re making multiple gifts for multiple people. If I can make 20 items at one time and get all of my ingredients in bulk, then it takes me pretty much the same amount of time to make that one item as it would to just multiply it out, and to make 20 of those. Go through the names of the people that are left on my list, after I have prioritized them, and look and see who I could give the same gift to. For example, last year, if you were a lady on my list (my mom, mother-in-law, sister-in-laws, sisters, the girls in my Bible study group), I made homemade soap. Another example, last year, I also made a homemade tinted lip balm in several color variations. For little girls or younger girls, who wouldn’t be wearing as bright, it was a very light tint. Then I made some darker lip balms for the adults. For the guys, I did the same thing. I did a woodsy scent of the homemade soap and non tinted lip balm. Making up a large batch of soap and the lip balms took care of almost all the females on my list, even the littler girls. I was even able to get the guys gifts in there as well. The great thing about batching was I did make a few extra of each. That way I had on hand, or have a gift for someone that I forgot to plan about or wasn’t expecting. There are a few things you’ll need to put on your calendars. Put on the calendar when we need to start these items, if there’s a cure time involved before they’re ready to gift give, so that we make sure that we have them done and they’re in a state that we could give people, so they can use them on Christmas Day or whenever you’re doing your gift exchange. Plan when you have time to make these gifts. Go through the ingredients needed to make sure that you’ve got them either on hand, or if you need to purchase or order them, so you will have them in time on the day that you’re going to be making them. If we don’t do this planning ahead of time, what often happens is the holiday season gets so busy, we end up being frazzled and trying to cram it all into one day. If you have ever tried to do a cram session, it usually doesn’t go so well. You’re stressed out, we end up making mistakes, and it’s not that much fun. And because I want you to enjoy the holiday season I am issuing a homemade baking challenge starting November 5th. I look forward to being back here with you next week, and I sincerely hope that you join me with our holiday baking challenge. It’s going to be so much fun. I have had a blast brainstorming up some of the prizes, and the different things that we’re going to be doing, because life should be filled with good for you, from scratch, tastes amazing food. Handmade Master Class– learn step by step instructions making your own homemade natural soaps, candles, balms, salves, and more! 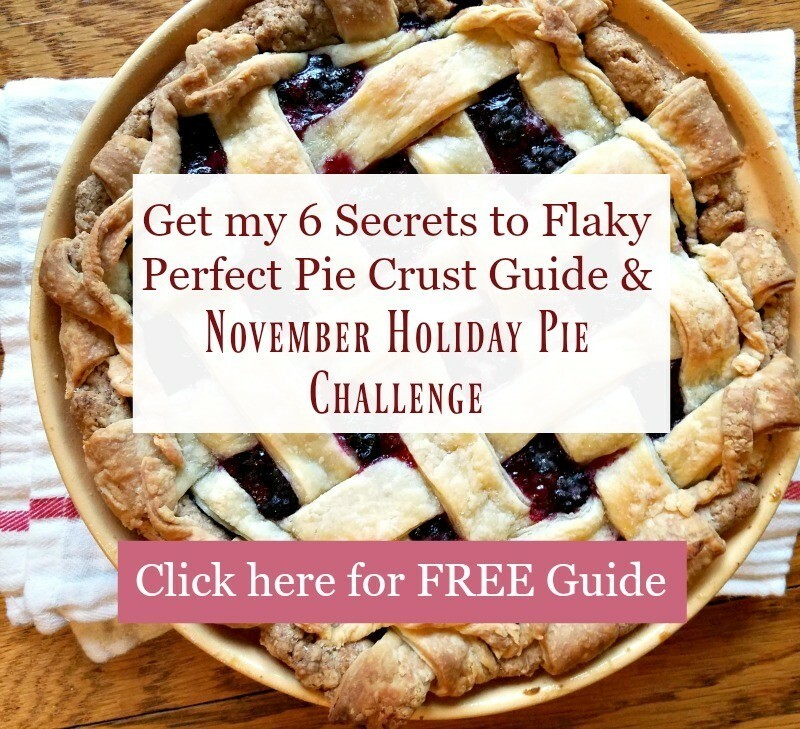 Pie challenge my 6 Secrets to Perfect Flaky Pie Crust every time and our pie challenge here!